So I just returned from a few days away with my girlfriends...it felt like a weekend even though it was mid-week...so relaxing! 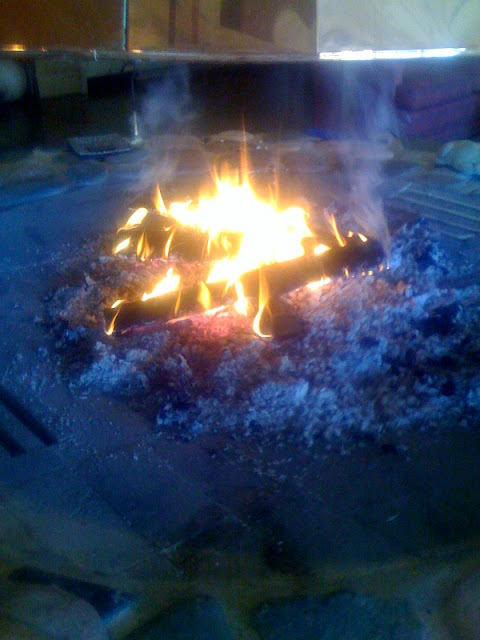 I ate a lot of super yummy food, talked a lot and spent a lot of time enjoying this lovely fire! I arrived home Friday evening to an active house of mostly smiley kids. Big news up in here too...we have 4 new teeth arriving! Jack is getting his top middles again and Olivia is getting her 3rd & 4th teeth (top but not middle...is that weird to get the outer ones first? Because I kind of think it is!). ...and movement! 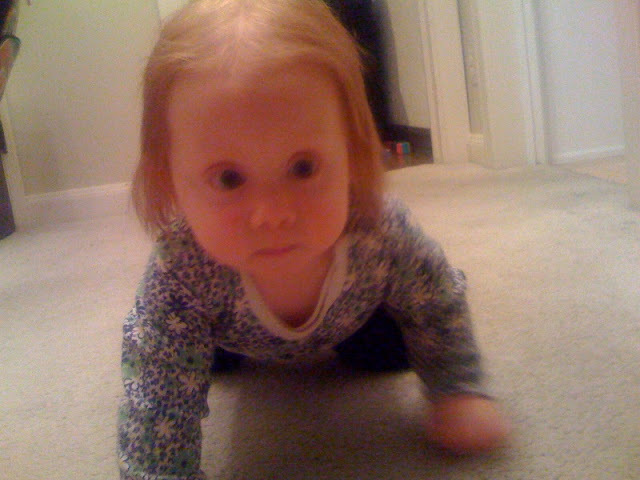 Hard to see the blur going by, but yes, Miss O is a crawling machine!!! Crawling machine?? ?She is a blurr that streaks past you and you wonder what it was and where it came from and where it went. Sure tuckers Gammy's out.